A large U.S. regional utility company markets wholesale electric power to a group of states in the U.S., sourced primarily through hydroelectric dams. 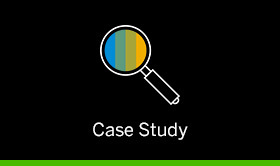 To help streamline their procurement processes, improve compliance and reduce spend, they reached out to SAP Fieldglass in 2006 as part of an enterprise process improvement initiative. The company now has standardized data and visibility into their entire workforce.